This is by no means always the response, but it is typical and may be part of what harms our firefighters. Despite more than 30 years of work by groups such as the World Health Organization, the Canadian Mental Health Association and the Centre for Addiction and Mental Health to de-stigmatize depression, it is a mental illness and is therefore typically bound into misconceptions that few of us even know we hold. Recently, we have seen an increase in awareness for the impact mental health issues have on fire service members. The following is a brief explanation of how depression, the most frequent aspect of firefighter mental distress, can appear.This also shows what all of us can do to help change the impact of depression on ourselves and others. Keeping quiet about depression—whether your own depression or that of a friend—is like failing to write up a locked emergency exit on an inspection; you aren’t doing anyone a favor. Part of the reason talking about depression doesn’t happen easily is that it is not part of the picture of the fearless firefighter “slaying” the “red devil.” Nuts to that one! Another, and more easily understood reason is that depression has many meanings and many levels of impact on those who experience it and on those around them. So, depression is like a fire. Some fires are of short duration and are managed quickly; others take longer, do more damage and require additional resources to stop. Rarely, there is a big one, a fire so awful that every resource available is brought to bear and the conflagration may last for a long time. Going it alone. Can be hard when we are depressed. Like a townhouse fire, depression might appear small and manageable to the average person. However, upon closer inspection, one realizes that just as a townhouse fire spreads to the neighboring units, depression slowly creeps into multiple areas of firefighters’ lives, including their jobs, marriages, relationships with their children, families and even hobbies they used to enjoy. “As with townhouse fires, the spread of depression can go undetected to onlookers for some time but becomes obvious after much devastation has been caused,” said Dr. Gray. We all know some folks for whom life seems more down than up, for whom life’s glass is always “more than half empty.” These people don’t feel good inside and it usually shows. They tend to be downers and may mask this trait in a variety of ways in the firehouse. Constant cynical comments and jibes that go beyond the usual club room and kitchen banter might be a tipoff. Mental-health workers refer to this constant low level of unease as dysthymia. Folks with dysthymia will sometimes develop a more severe depression but by no means always. More severe clinical depression can be slow to start or come on swiftly as a reaction to a critical event. Like a fire, depression might be invisible when the first-due rigs arrive, but when it shows itself, there is usually no doubt about what is going on. Those with clinical depression will have experienced certain signs and symptoms most of the time for at least two weeks. The Canadian Mental Health Association website (DEPRESSION) helps those who think they might be suffering any form of depression to examine those feelings and determine whether they mark some type of depression. This fire represents major depression. Depression can be a killer if the individual suffering it reaches the point of suicidal thought and action. For some who are near this stage, a helpful friend who can point out resources and just be with the sufferer can sometimes be enough to prevent such destructive actions. Sometimes, more active interventions are necessary. As with many of the life-saving techniques firefighters learn on the job, it is vital to know how to respond when one of our own is trying to deal with depression. Sometimes the best thing to do is to help the firefighter friend make contact with an appropriate professional through a help line, an employee assistance program or clergy. If you feel like the depression is working into the “big one,” get some real help. Talk with a qualified mental health worker or your physician. Call a help line. Tell a close friend or talk to your spouse. If you have access to an effective employee assistance program, use it. 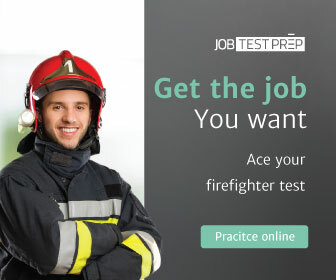 Do what firefighters are known for: Act! Search out a source of help. If the first person you meet does not “get it,” move on. Don’t wait for a flashover! The good news is that depression can be lifted. You can feel better. Life does not have to be a black hole. I know. I have been there, worked like any firefighter would at a major blaze and put the fire out! See More from Dr. Brooks: Is the diagnosis really PTSD?